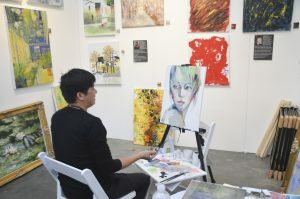 The first full show day at Art San Diego was a huge success. 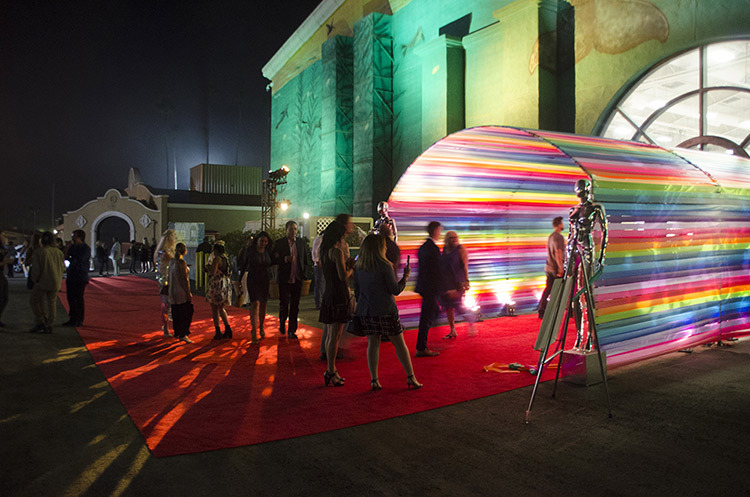 One of the leading cultural events in Southern California, Art San Diego inspired attendees from all over the world with its Art Labs, Art Talks, Spotlight and LaunchPad programs, special events, and more. 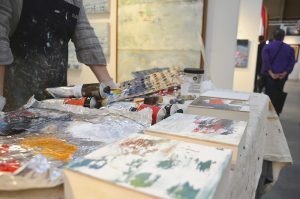 Our Meet the Artist and live demonstration events featuring cutting-edge artists were a hit. 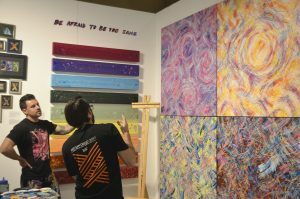 Attendees had the rare opportunity to watch Michael Carini paint gorgeously colorful abstract compositions; Anita Lewis drag, rub, and spread oil paints; and Spotlight Artists Rose Tanner and Kate Taylor create their next masterpieces. 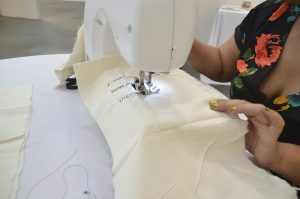 San Diego Prize Winner Rizzhel Javier even treated the audience to a live sewing demonstration, part of her “Unmentionables” series that features images and letters from people that don’t talk to each other anymore. “He called and called and called and called and called and called until he didn’t,” she sewed. 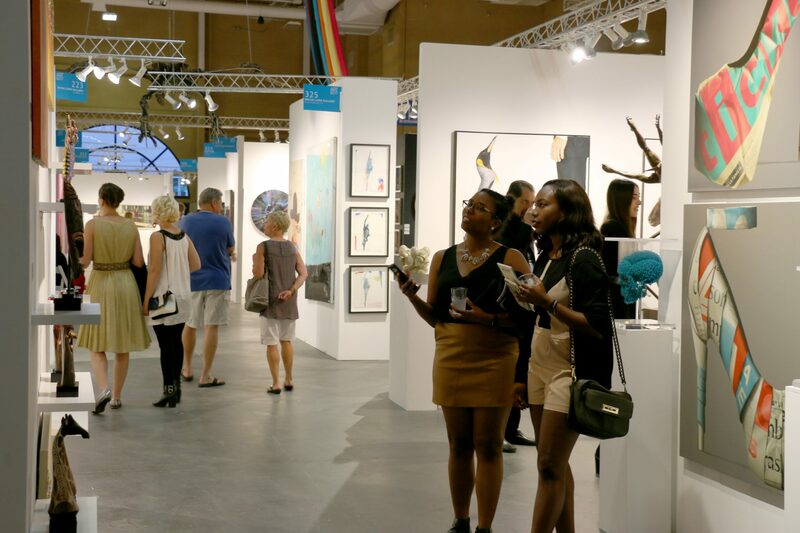 For a full roster of the 65+ galleries and studio artists showcasing their work at the ninth edition of Art San Diego, check out our exhibitor list. 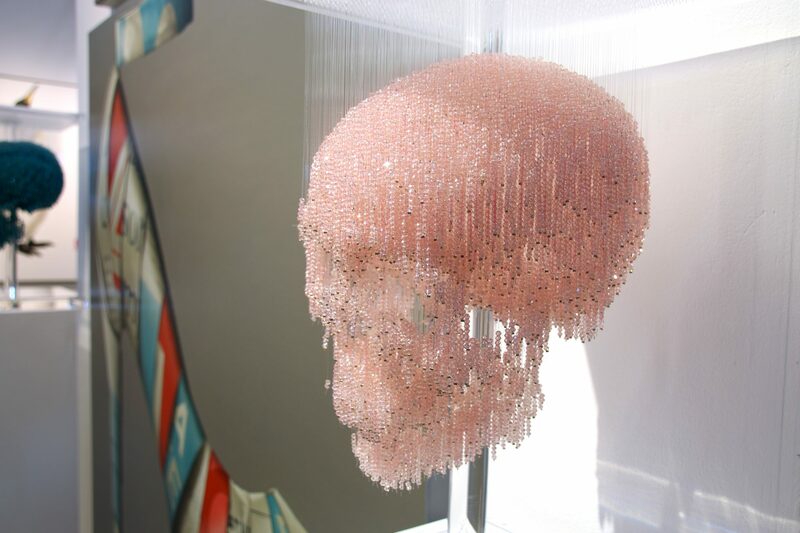 Coming up today are more specially curated Art Labs, including the fusion of the work of six talented San Diego artists, including Javier, who are featured as the 2017 New Contemporaries as part of the San Diego Art Prize Art Lab. 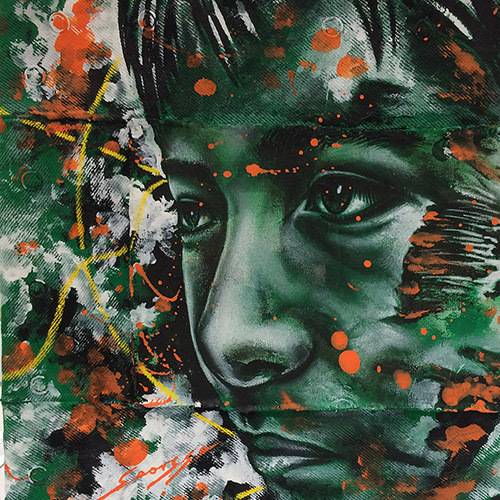 There are also many more Meet the Artist and live demonstration events and an exciting Art Talk with Michael Joseph, Artblend owner and director, and Yubal Marquez Fleites, Arte Collective owner and curator, on today’s art scene, top trends, and collectible artists. Check the full schedule to see who’s participating when. 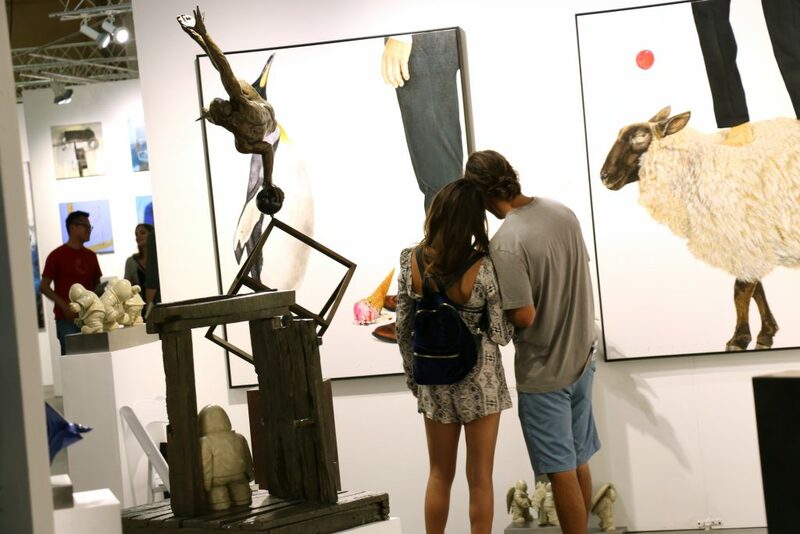 If you’re in search of inspiration and amazing artwork to take home, you won’t want to miss Art San Diego. 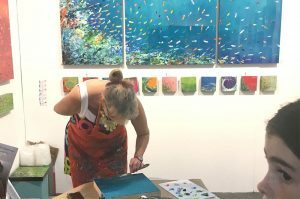 Artblend Gallery has already sold Laura Benjamin’s Lucy, Barry Seidman’s Red Wine Silhouette, and Annie Labbe’s Opensource 4. 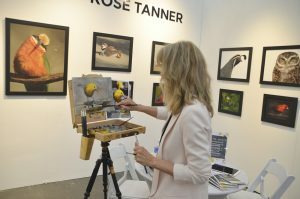 And Lyn Hiner, after going to an exhibitor seminar hosted by Rick Barnett and other members of the Redwood Media Group team, adjusted the prices on her artwork and immediately sold two pieces. Keep checking back for daily posts and videos with show highlights. And don’t forget to follow Art San Diego on Facebook, Twitter, and Instagram for up-to-the-minute news and photos from the scene!